Why would I need self storage in Newtown Square, PA? There are a variety of reasons why you might need self-storage in Newtown Square, PA.
How much is a storage unit in Newtown Square, PA? The cheapest storage unit in Newtown Square, PA is $123.00 per month. What size storage units do you have available in Newtown Square, PA? In Newtown Square, PA we have sizes that range from 5'x10' to 10'x25' to suit your storage needs. How much is it for a 5'x10' storage unit in Newtown Square, PA? The cheapest 5'x10' storage unit in Newtown Square, PA is $123.00 per month. Newtown Square is a small community in Pennsylvania's Newtown Township. Although Newtown Township is a fairly large town, Newtown Square is a quiet corner that's home to just a few thousand people. Despite its small size, the community has plenty to offer, including a number of jobs at the headquarters of one of the largest software companies in the world. Newtown Square is a very small, quiet community that offers a peaceful way of life. 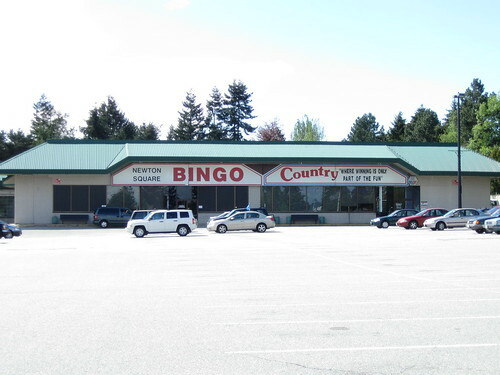 It has an extremely low crime rate, just a fraction of the national average, making it a very safe place for families, senior citizens and young singles alike. The surrounding Newtown Township offers a range of amenities, including parks, recreational programs, shopping and restaurants. Even though Newtown Square is a tiny suburb, it was chosen as the headquarters site for major software company SAP North America. The town's convenient location attracted the large company, which provides a number of jobs for Newtown Square locals as well as people commuting from other neighboring cities. Students in Newtown Square are enrolled in Marple Newtown School District. In addition to traditional classes, the district also provides a number of advanced placement and honors programs at its secondary schools. There are also a few private and parochial schools in the surrounding area. Utilities: Primary utilities providers in the Newtown Square area include PECO and the Newtown Artesian Water Co. Garbage and Recycling: There are no township-provided collection services, but you can easily arrange for pickup with a private company in the area. Ask your neighbors for recommendations to make the selection process easier. Transportation: The area is part of the large SEPTA public transportation network, which includes both bus and commuter rail lines. Homes in Newtown Square tend to be more expensive than the national average, which is fairly common for most suburbs of Philadelphia. The community is very small, so its housing market can offer limited options at times. However, there are a handful of family-friendly homes in established neighborhoods to consider, as well as new construction houses offering luxurious, modern designs. Our lowest priced units in Newtown Square, PA average $123.00 per month. 21 people have reserved units in Newtown Square, PA in the past 30 days. There is 1 location within Newtown Square, PA's city limits. There is 1 location in Newtown Square, PA that offers AC and Heating features.